Joshua Peltier with participants in his program, Designed for Greatness. Photo courtesy Shana Burton. If things had gone according to the plan laid out by Howard University’s Master’s in Fine Arts program, Joshua Peltier would be the next Steven Spielberg or Martin Scorsese. Instead of a movie set, however, he spends many of his days behind prison walls and couldn’t be happier about it. What Peltier actually does is change the lives of young people through his initiative called Designed for Greatness, a program that teaches individuals how to clearly and effectively communicate. While he works with people of all ages, he specifically targets troubled youths, many of whom struggle in this area. More than just a communications course, Designed for Greatness provides participants to necessary tools to make attitudinal, behavioral and intrapersonal readjustments through positive self-talk and interpersonal communication. Mr. Peltier brings his program to students in Bibb County schools. Photo by Shana Burton. Peltier’s idea for Designed for Greatness began in the checkout aisle of a grocery store when he overheard a conversation between a mother and her teenage daughter. Both mother and daughter were clueless as to what the other was trying to communicate. Realizing that this was a common problem between parents and their children, Peltier vowed to do something about it and began laying the groundwork for Designed for Greatness. Taking the skills learned from his undergraduate degree in communications, Peltier created a curriculum that would help people change their behavior, the way they interact with others, and their way of thinking all through deliberate communication. What began as an idea in a grocery store four years ago has transformed into an initiative that is impacting lives all over middle Georgia. Peltier has facilitated communication workshops throughout the region for the Bibb County School System, Virginia College, Central Georgia Technical College, The Mentors Project, and several area churches and civic organizations. 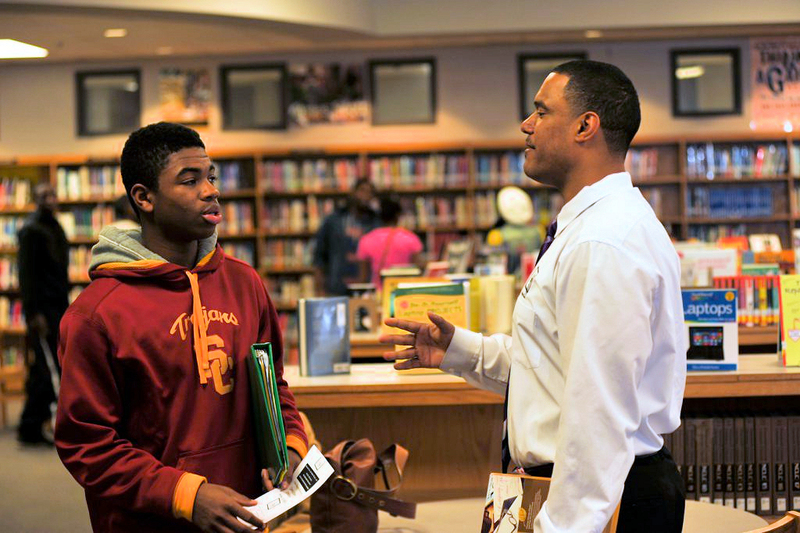 He is especially proud of the work he is doing with teens and young adults in the custody of youth detention centers. Peltier does not want to limit himself to small workshops. He envisions hosting communication retreats and conferences and is toying with the idea of hosting a weekly talk show geared toward helping people overcome communication barriers. For now, he wants to continue to establish himself as a resource for parents and educators and spreading the message that everyone has value and is designed for greatness.